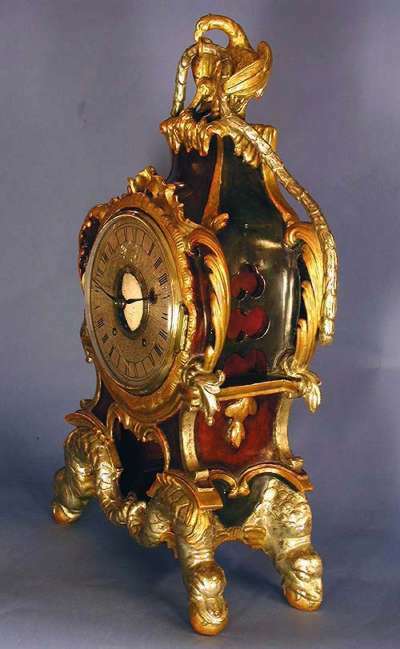 c.1745 Silver-Gilt, Gilt-Wood, and Painted Grand Sonnerie Mantel Clock with Swinging Jester and Universal Dial. 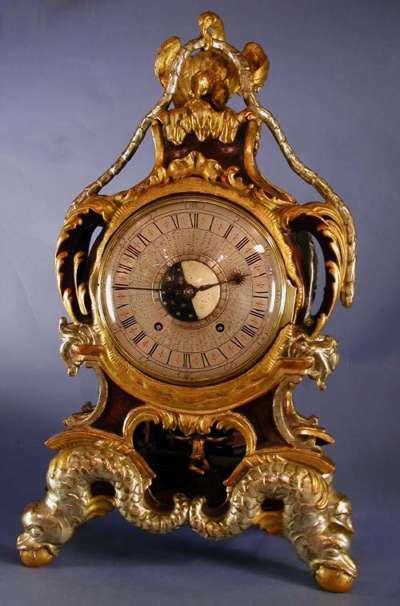 An extremely rare mid-eighteenth century carved mantel clock with a universal dial, an animated pendulum and grande sonnerie striking with repeat. 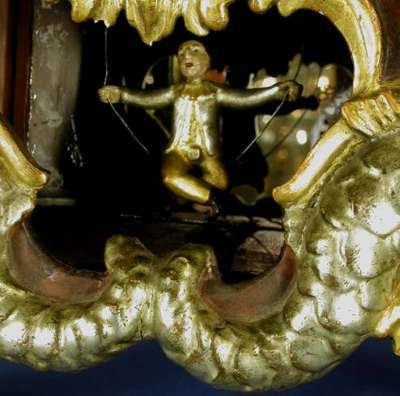 The gilt, silver-gilt and painted rococo case has polychrome panels within curvilinear borders and carved foliage. 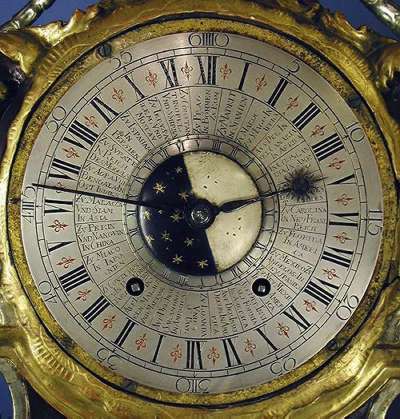 It is surmounted by a gilt eagle with a long garland in its beak and stands on four silver-gilt scaled serpents.